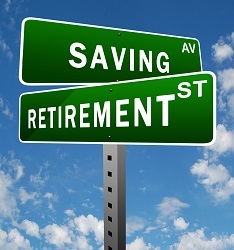 Common sense and logic tell us that the earlier you start saving for retirement, the better off you are. Interest compounds, so money saved at age 30 ends up worth more than what you save at 50. For example: a person who saves $20,000 a year for 25 years will, at the end, have $1.46 million saved. But to get that same amount in only 15 years, you’ll have to save $54,000 a year. In ten years, it’s $101,000 a year. You probably don’t want to save $101,000 every year, so start now. But how much should you be saving? That’s a loaded question, because the real answer is that it depends. Helpful, right? Beyond your age, there are several factors to consider. They include your retirement goals, how much you make, and how much (if anything) you’ve already saved. At Four Quadrants, we plan for our clients to have the same income in retirement as they do while working, if not better (after adjusting for inflation). You’ve probably never been told this, but it is possible for a dentist to retire with between $8 million and $13 million in retirement savings. And we’ve had clients do even better. To determine what you’ll need in retirement, think about your current expenses. If you’re making around $400,000 a year, your personal expenses are likely to be around $20,000 a month right now. In five years, because of inflation, you’ll need $22,000 instead to meet that same value. In 15 years you’ll need $31,000 a month. In 25 years it’ll be $54,000 a month. To plan for a thirty-year retirement (including inflation), that $400,000-a-year dentist must save about 27% of their gross income in order to hit their retirement goal. That amount doesn’t take into account any profit from selling the practice or any related real estate deals – but you can’t put all your eggs in that basket when it comes to the transition. Those sales won’t net you more than 60-75% of your revenue from the previous year and that’s not enough to maintain your lifestyle. Even if you take the above example and plan for a net $1 million to be invested around the retirement age, that only drops the savings percentage from 27% to 23%—hardly the game-changing difference that many dentists think it will be. One only should count on that inflow as supplementary income alongside years of savings. For a younger dentist, somewhere from 20-30% of your gross income should be saved for retirement. If you’re older – say, within ten years or so of retirement – you should be saving closer to 30-40% of your gross. That way, your retirement won’t be filled with financial worry, and you’ll be able to continue in your current quality of life.